Pippa Middleton was seen tonight arriving at a charity carol service that Meghan is expected to address in memory of an 18-year-old close friend of the royals who was killed in a car crash. 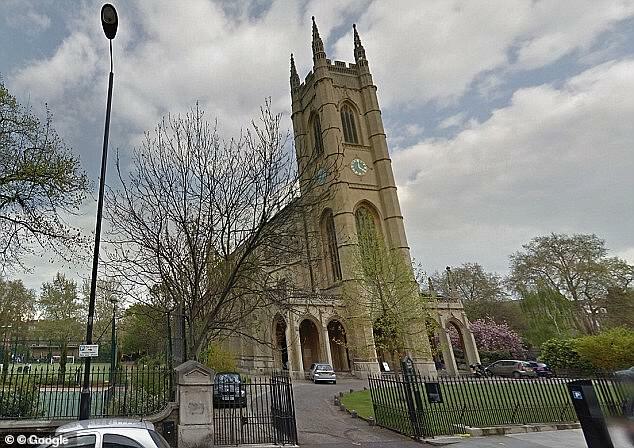 The event, at St Paul’s Church in Chelsea, was organised by the Henry van Straubenzee Memorial Fund. This was set up in memory of a close friend of Princes William and Harry who was killed in a car crash at the age of 18 in 2002. Henry, 18, died instantly when the car in which he was a passenger hit a tree outside Ludgrove preschool in Berkshire, where all three boys were once pupils. The service is expected to be attended by many friends of the princes, many of whom Harry has not seen since becoming engaged to Meghan, who is expected to make a reading. The two princes remain close friends with the surviving van Straubenzee brothers, with both attending the 2013 wedding of Thomas van Straubenzee. Prince Harry once described Henry as a ‘Polzeath surfing legend and ladies’ man with whom we shared so many special memories’. He was a classmate of Prince Harry’s, while his older brother Thomas was a friend of the Duke of Cambridge. The foursome were said to be inseparable as they were growing up. The foundation set up in his name is currently helping more than 28,000 children across 40 nursery, primary and secondary schools in Uganda. Since Henry’s death, the foundation set up in his memory has raised enough money to support the education of more than 26,000 children in 39 schools across Uganda.